New York: Dodd, Mead & Company, (1927), 1927. Hardcover. Poor/No Jacket. 4to. Herman Lui Drucklieb. Unpaginated. Illustrated in black & white. Illustrated end papers. Introduction by John Martin. Most likely a first edition, but not noted as such. Inscribed on the front free end paper to an individual, dated January 6, 1928 and signed by the author. Book plate on the front paste down. Binding has general wear and fraying. Illustration in color of Mr. Scoodle-do on front green cloth board. End papers have tanned. Front inner joint is cracked. Two pages have yellow tape repairs. Some crayon scribbling on two pages. The rest of the pages are clean. A fairly rough copy of a very scarce book, especially so inscribed. By Sanford, Mrs. D. P.
U.S.A.: NavPress, 2010. Hardcover. As New/As New. 4to, (10 1/4" tall). Joy Adams. Unpaginated. Illustrated in color by the young granddaughter of the author. Dust jacket is protected in new mylar. Dust jacket and book are in excellent condition. No former owner's names or marks. A scarce hardcover copy in gift quality condition. New York: George Routledge & Sons, (1881), 1881. 1st Edition . Hardcover. Very Good/No Jacket. 8vo. 64 pages. Illustrated in color and black & white with little poems on each page. Book protected in new mylar. Illustrated binding has some edge and corner wear, but overall attractive. Interior of book is clean with tanning on a few pages. No previous owner's names or marks. New York: Cupples & Leon Company, (1913), 1913. Hardcover. About Very Good/About Very Good. 8vo. 246 pages. Dust jacket protected in a mylar sleeve. Previous owner's name on the front free end paper. A clean, tight, square copy with very slight damp staining and wear along the bottom. Dust jacket has two 2" by 3/4" pieces of the rear panel missing but otherwise is bright and colorful. Scarce in the dust jacket. New York: James Miller, 1868. Hardcover. Very Good/No Jacket. 24mo - over 5 - 5¾" tall. pp. iv, , 6-208. Illustrated. Frontispiece in color. No date, but gift inscription dated Christmas 1868 on front free end paper. Book protected in new mylar. Most poems have black & white illustrations with them. Slight wear at corners and bottom of spine. In solid, clean condition. A scarce, early children's book. New York: Charles Scribner's Sons, (1955), 1955. First Edition . Hardcover. Fine/Very Good. 8vo. Leonard Weisgard. Unpaginated. Illustrated. Dust jacket protected in a mylar sleeve. Dust jacket has very minor edge wear, a 1/2" closed tear and small corner chips at the top of the spine, price clipped. Book in in fine condtion with an inscription on the front free end paper to a girl from her school, dated July 14, 1955. Platt & Munk Co., 1932. Soft cover. Very Good. 8vo. From series 3000 and 3100. Six booklets from 1932-1934. Illustrated in color and black & white. Three booklets have former owner's name on front covers. Chicken Little has minor damp staining and tape repair on rear cover. Jack and the Beanstalk has a damaged front cover. Overall in very good condition. Racine, Wisconsin: Whitman Publishing Co., (1927), 1927. Hardcover. Very Good Condition./Very Good Condition.. 8vo. 216 pages. Dust jacket protected in a mylar sleeve. Previous owner's name on the front free end paper in pencil. Dust jacket is not faded, no tears, slight browning on some edges, a very attractive dust jacket. Book is solid and square with light browning on the edges. Over all a very nice copy. Racine, Wisconsin: Whitman Publishing Co., (1932), 1932. Hardcover. Very Good Condition./Very Good Condition.. 8vo. 216 pages. Dust jacket protected in a mylar sleeve. Previous owner's name on the front free end paper in pencil. Dust jacket is not faded, no tears, slight browing and wear along some edges, a very attractive dust jacket. Book is solid and square with light browning especially at the end pages and edges. Over all a very nice copy. New York: (1958), 1958. Hardcover. Fine Condition./Near Fine Condition.. 8vo. 63 pages. Illustrated. Dust jacket protected in a mylar sleeve. Not a first editon, but dated 1958 on the copyright page with no notice of additional printings. 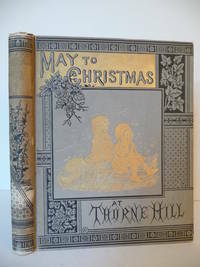 A very attractive copy in a great dust jacket with a minor 1/2" abrasion on the front cover. Garden City, New York: Doubleday & Company, Inc., 1964. 1st Edition . Hardcover. Fine/Very Good. Oblong 4vo. Clare Elmore Schulz. 45 pages. Illustrated. Illustrated end papers. Review copy slip freely inserted. Dust jacket protected in a new mylar sleeve, not price clipped. Dust jacket has minor scuffing on spine and rear cover with a 1" closed tear. No previous owner's names or marks. A story based on old Bavarian folk lore. A very clean, attractive copy. Volland, (1929), 1929. First Edition . Hardcover. Very Good Plus/No Jacket. 12mo. Illus. By Johnny Gruelle. 39 pages. Wonderfully illustrated in vibrant color and black and white. Protected in mylar. Front cover of the binding has slight abrasion, but still a colorful delight with scarecrow and children. A former owner's name and 1929 date on the page after the copyright page. New York: G. W. Carleton & Co., 1875. First Edition . Hardcover. Good Plus/No Jacket. 12mo. 208 pages. Illustrated. Protected in mylar. Green binding with gilt tooling, shows some wear at edges and corners, but no chips. Book is clean and solid with a former owner's name (of the period) on one of the front free end papers. Some of the letters are reproduced from "Munro's Girls and Boys of America," where they originally appeared. A very scarce book. Philadelphia: David McKay Company. Hardcover. Very Good/No Jacket. 4to. 32 pages. Illustrated in color. No date, but 1930's. Book protected in new mylar. Illustrated front cover. Binding has minor wear, and is solid, square, tight. 12 color plates including the frontispiece. Inscription on the front paste down from "Daddy" dated Jan. 13, 1938. Additional owner's name stamped on five pages throughout the book. A fairly clean copy. The scarce American edition in pretty good condition. P. F. Volland Company, 1925. 1st Edition . Hardcover. Good/No Jacket. 12mo. Katherine Sturgis. Unpaginated. Illustrated in color. Book protected in new mylar. Binding illustrated in color with slight soiling and half of spine chipped away down to cloth. Binding is solid, square, and tight, corners worn. Illustrated end papers. Previous owner's name on front paste down. Interior of book is mostly clean with very slight soiling. Interior cracking at spine in two locations, but text block is tight to spine. Scarce first edition. New York: The Century Co., (1887), 1887. First Edition, Second Issue . Hardcover. Poor/No Jacket. 4to. 142 pages. Illustrated. Previous owner's name. End papers missing. Last two pages missing. Binding soiled, but holding. Hinges cracked. Interior has some soiling of pages. Not the best copy being in poor condition, but it's still a fun book, it's The Brownies! New York: Delacorte Press, Random House Children's Books (2014), 2014. 1st Edition . Hardcover. New/New. 8vo. 217 pages. First Edition, First printing with the "1" in the number sequence. Signed by the author on the page before the half title page. Signed only, not inscribed to anyone. The dust jacket is protected in a new mylar sleeve. A new, mint condition, gift quality, collector's item. New York, Chicago, Toronto: P. F. Volland Company, (1918), 1918. 1st Edition . Hardcover. Very Good/No Jacket. 8vo. Unpaginated. Color illustrations on each page with four line poem. Illustrated end papers. Book protected in new mylar. Illustrated binding has corner wear, small chips at top and bottom of spine, two small tape stains. Interior of book is very clean with white pages and no previous owner's names or marks.